This recipe is amaaaaazing! The flavor is perfect, simple and elegant. So perfect, that I simply CANNOT take credit for this recipe! It was originally posted on Mind Body Green by Beth Lindley. I tried it for myself and it came out sooo good! (See my pic above). So good in fact, that I wanted to share this recipe with you all! Ahead of time, soak the cashews for 8-12 hours. Drain and rinse. Pour half of the almond milk and all of the cashews in a high-speed blender and process until very smooth. 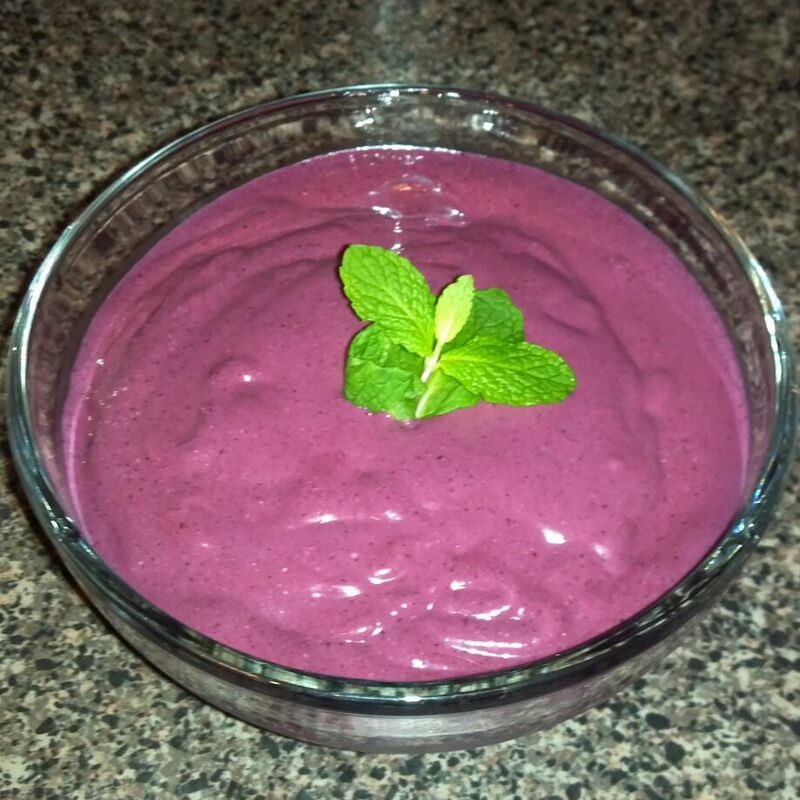 Add the bananas, blueberries, lemon juice, orange juice, ginger juice and dates, and process until smooth and creamy. If you need the remaining almond milk then use it, but keep the consistency thick. Transfer the mixture to an ice cream maker and freeze according to the manufacturer’s directions. Top each serving with the fresh blueberries and a sprig of mint, if using. Blueberry Ginger Ice Cream tastes best if eaten immediately, but it will keep for five days stored in a sealed container in the freezer.